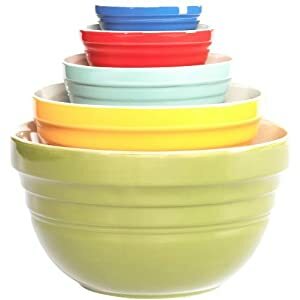 These are lovely retro looking mixing bowls, that look like they could have come right out of your grandmother's kitchen. They nest together to save valuable space, and they're dishwasher safe! These make a fantastic and affordable wedding or house warming gift. I don't know a single cook that wouldn't enjoy this practical and pretty present.